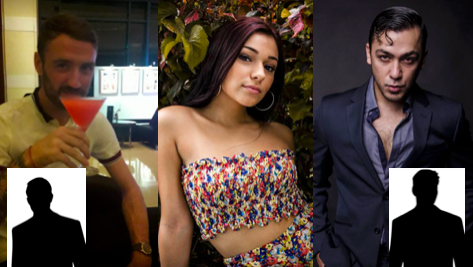 From left: Briton Jake Greevy and Americans Breana Austin Ulrich and Raymond Lewis Humphries. Also arrested on suspicion of possessing illegal drugs were Wayne Barry McLeney from the UK and Jeremy Michael Stevenson from the USA. Three Americans and two Britons have been arrested on suspicion of drug possession in a Cebu City hotel room. The raid this morning (Friday, June 1) came after an arrested drug dealer, identified as Meljin Abad, identified Jake Greevy, from Sheffield, as his supplier. Arrested alongside Greevy was fellow Briton Wayne Barry McLeney and Americans Raymond Lewis Humphries, Jeremy Michael Stevenson and Breana Austin Ulrich. A report in SunStar Cebu had identified Humphries as British, however his Facebook profile states that he is from Somerset, New Jersey. It is unclear how the suspects were known to one another, but they were well-known members of the local expatriate community. Officers from Mabolo and Abellana police stations reported that they had seized 7.12 grams of shabu (methamphetamine hydrochloride) and marijuana. According to the Dangerous Drugs Board, the value of the seized narcotics was 84,046 pesos, or about $1,600. The five now face charges for violating the Comprehensive Dangerous Drugs Act. If convicted, they can expect lengthy prison sentences followed by deportation. Meanwhile, in Quezon City, an Australian was among a number of suspects arrested in a series of anti-drug operations last night. No further details pertinent to either case are currently available. Check back here for updates. Follow our Facebook page for breaking news, every day. You missed the part about the lengthy jail sentence, huh?